Enter a whole world in which peace, relaxation and countryside rule! The Yelloh! Village Nature et Rivière, located in the splendid Gorges du Tarn, is an opportunity to discover the delights of camping in Lozère. In a lush, wild setting, with a river which passes by just next to your accommodation, your holidays at the camping Nature et Rivière will be a real breath of fresh air! Here, you'll find all you need to enjoy a wonderful camping holiday in Lozère, with only what's really necessary! You'll love your stay here, a paradise for people who enjoy wide-open spaces and the truly authentic! What could be nicer than camping holidays in Sainte Enimie for people who enjoy the countryside, the wide-open spaces and fantastic views? Located in the heart of the world-famous Gorges du Tarn, the camping Nature et Rivière will be an opportunity to discover all the splendours of the region. With amazing animals, including wolves, vultures and bison, fantastic views, and the panoramic viewpoints of the Grands Causses, the surrounding countryside is magnificent! So set off in the tracks of the wolves of Le Gévaudan, come and admire the Millau viaduct or enjoy a walk in the heart of the amazing rock formations of Montpellier le Vieux. Whether it's a walk of a few hours or a whole day's outing, you'll find just what you want here! 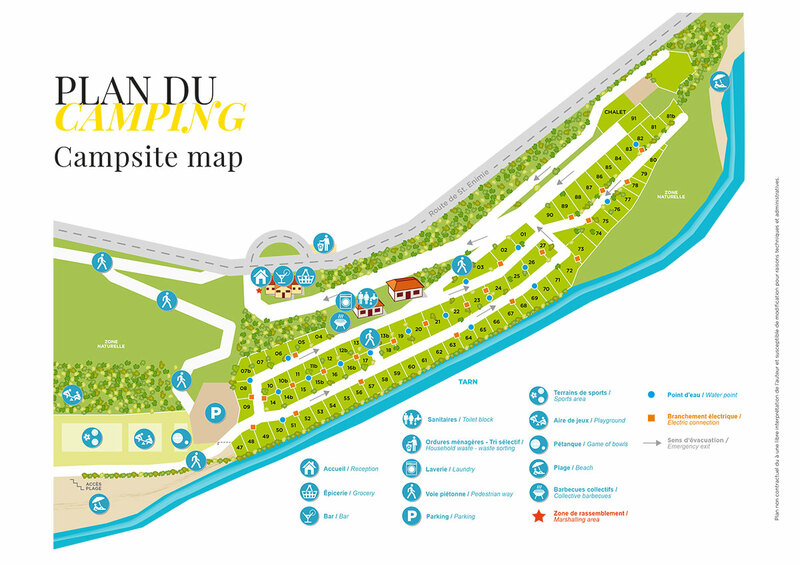 Camping holidays in Sainte Enimie will also be an opportunity to visit the depths of the earth, with the cave of Dargilan, the Abîme de Bramabiau and Aven Armand being some fascinating options. The River Tarn, which flows alongside the campsite, is just waiting to be discovered too, with bathing, canoe trips and more, so you've got the lot here! Drift off with the current at your own pace! You'll certainly have an exciting time here, full of authentic features!